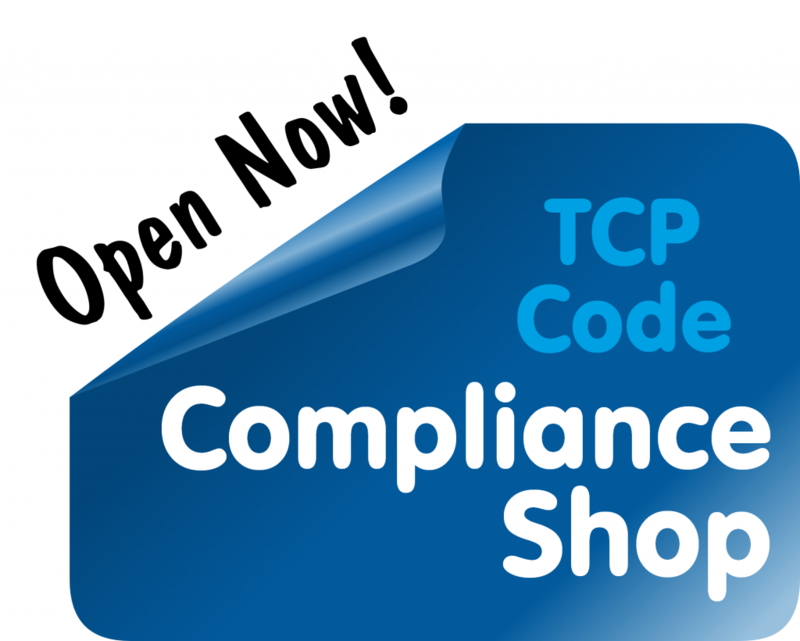 A cross-referencing mistake in the 2012 Telecommunications Consumer Protections Code has confused some readers about what is required in a Compliance Attestation under the Code. Let’s clear up the confusion. 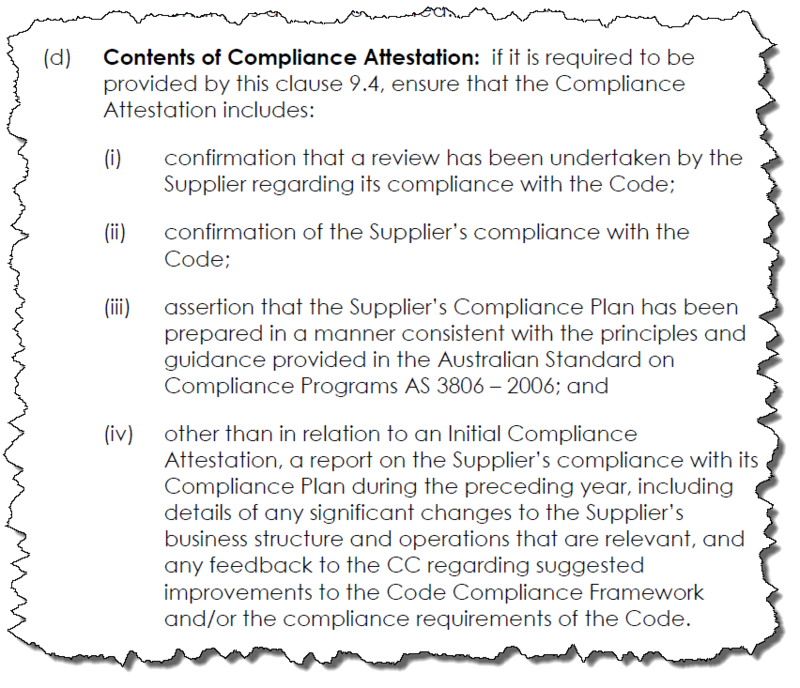 Compliance Attestation means a statement by a Supplier, attested in the manner required by clause 9.4.1 and addressing the matters referred to in clause 9.3.1(b). In fact, that’s not correct. 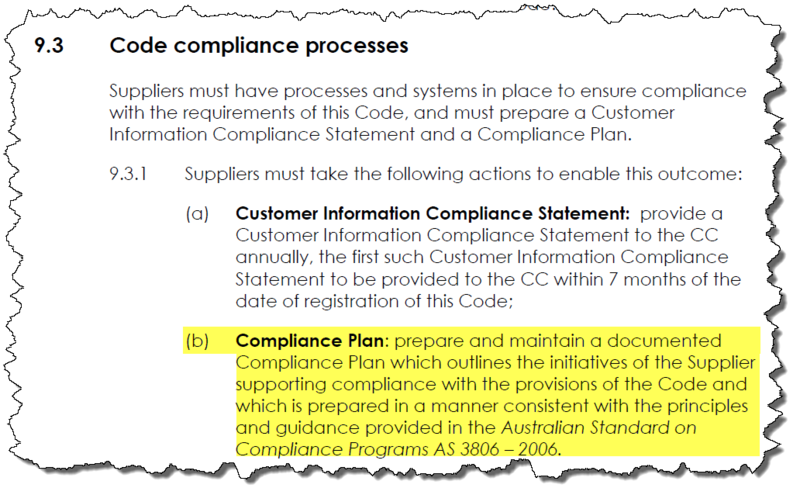 Now, that makes a lot more sense as part of the definition of ‘Compliance Attestation’. 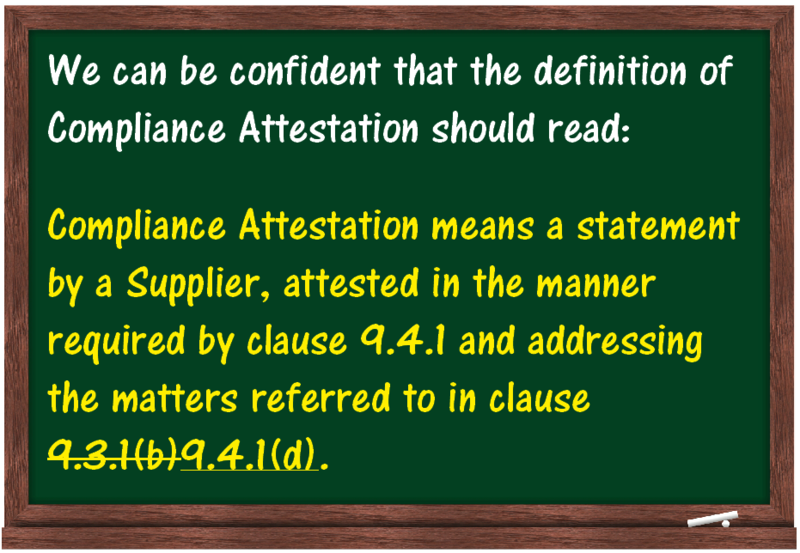 Compliance Attestation means a statement by a Supplier, attested in the manner required by clause 9.4.1 and addressing the matters referred to in clause 9.3.1(b)9.4.1(d). 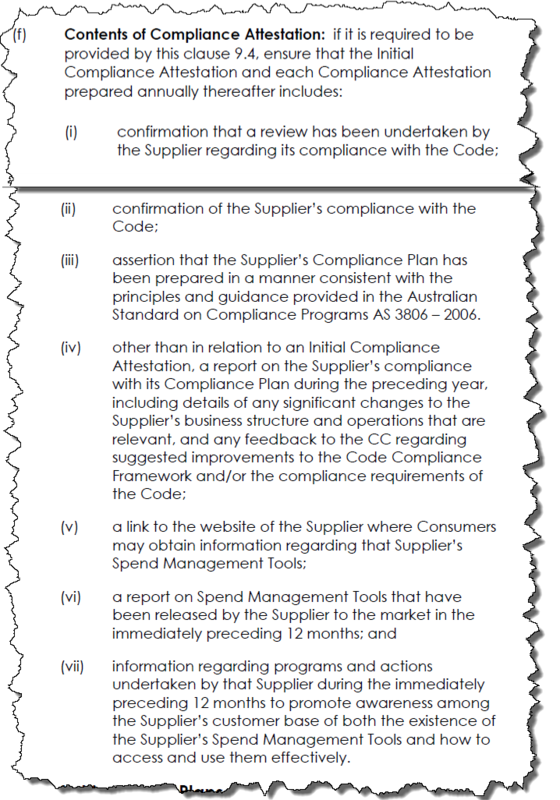 This entry was posted in Compliance Attestation, Criticising the Code and tagged Compliance Attestation. Bookmark the permalink.